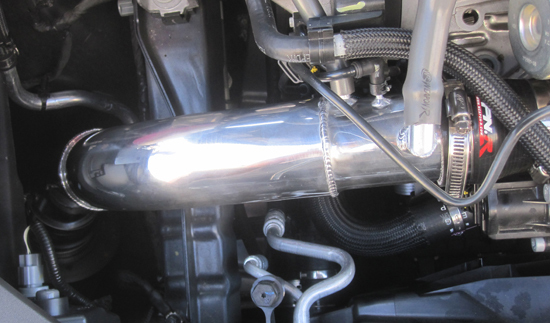 The intake is a NSWP(non secret weapon pipe) Not Dual tube! This is because of the direct bolt on to the Turbo. The intake will also include a Reinforced WR Coupler to mount directly to the Turbo. Polished Aluminum intake pipe and Secret Weapon Filter!